The results for the 2018 Under 100MP Championships have been finalised. Congratulations to Paulina Martin - Ming Li from North Shore Bridge Club @ Lindfield who were the winners on handicap and to the non-handicap winners Anthea Piddington and Warwick Birch from Trumps Bridge Centre. Congratulations to the BLOOM team, Pauline Gumby, Warren Lazer, Peter Gill, Tony Nunn and Martin Bloom, winners of the 2018 John Arkinstall State Open Teams and the NORTHERN team, Gary Lynn, Eric Hurley, Marjorie Askew and Bill Powell winners of the 2018 State Country Teams. The final the the 2018 Grand National Open Teams was won by SYDNEY 2 who defeated CANBERRA 2 in the final. 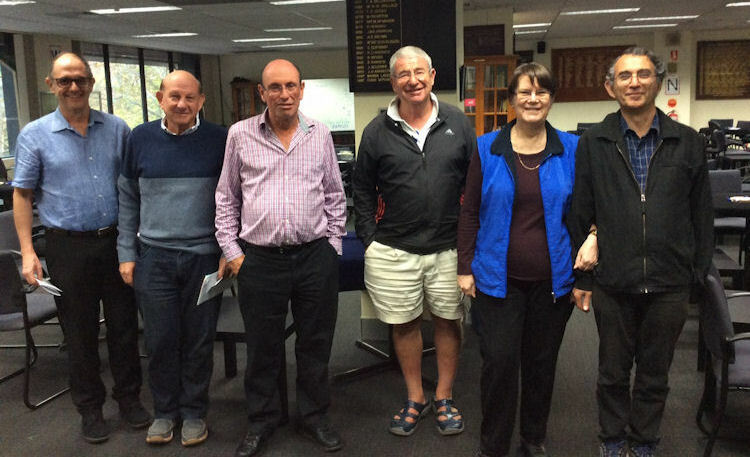 Congratulations to Avi Kanetkar, Bruce Neill, Nye Griffiths , Johnno Newman, Pauline Gumby and Warren Lazer. 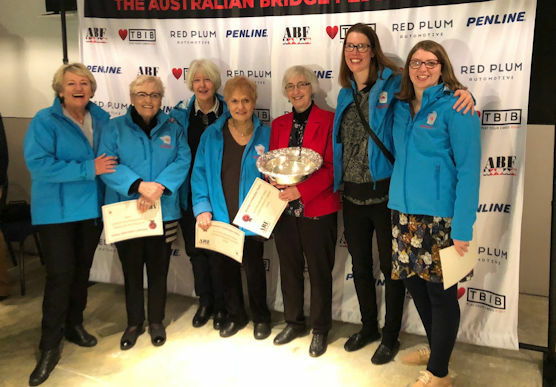 The World Bridge Federation has announced that a Mixed Teams Event will be added to the Open, Women's and Seniors' divisions at the World Teams Championships in odd numbered years. The playoff to select the 2019 Australian Mixed team will be held at the NSWBA on January 25-28, 2019. All teams of 4 or 6 players comprising mixed pairs may enter, but non-contending teams cannot proceed to the semi-finals. Entries close January 15, 2019. On Sunday 27 January there will be a Matchpointed Swiss Pairs Congress run in conjunction with the Mixed Team Playoff. Masterpoints will be awarded at Super Congress Level B3. Entry is via the NSWBA website. 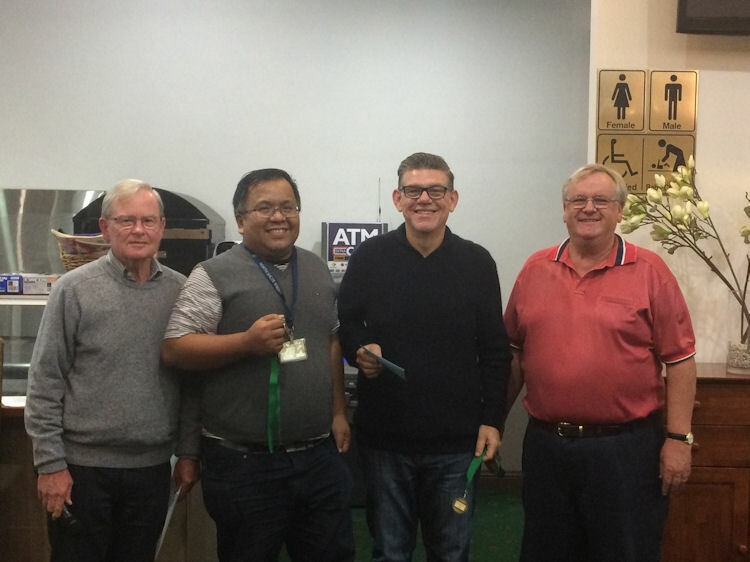 The State Open and Country Pairs Championships were held at the NSWBA on November 25-26. 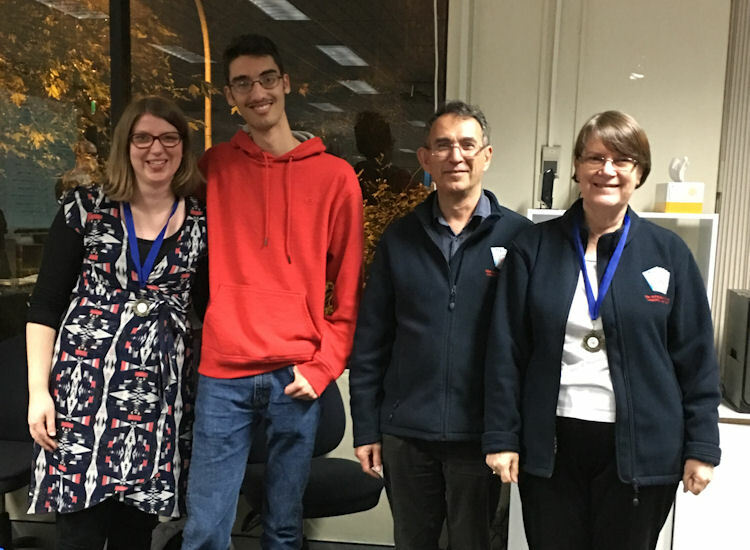 The NSW State Novice and Restricted Teams Championships were held at the Illawarra Bridge Associaiotn on November 17-18. 14 teams competed in the Novice section and 8 in the Restricted. 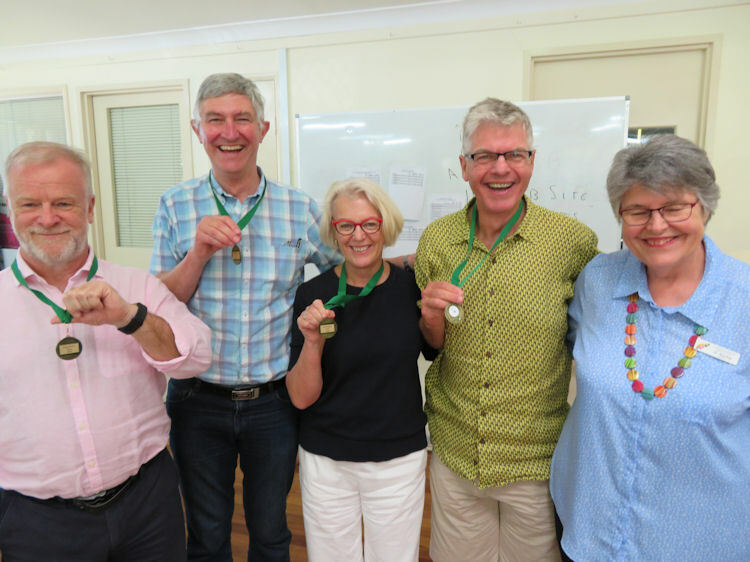 The winners of the Novice teams were Robbie Feyder, Michael Hogan, Gail McKenzie and Martin Brown. 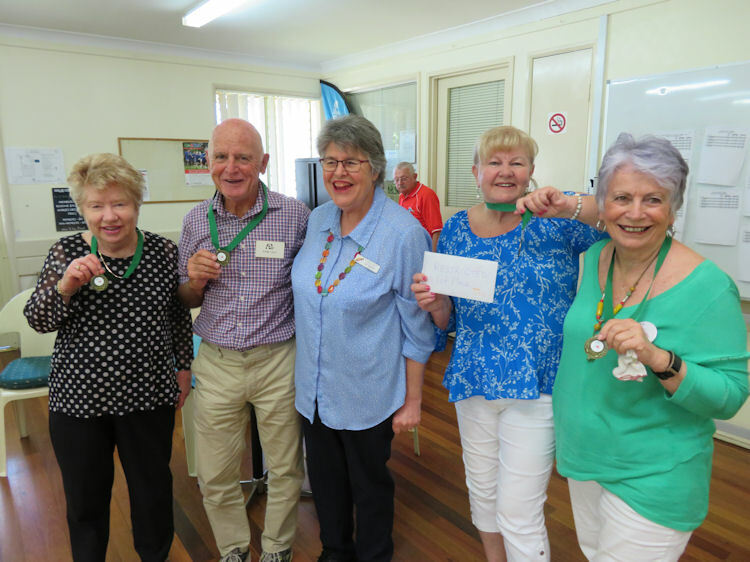 The winners of the Restricted Teams were Marianna Xerri, Nola Daly, Pamela Leathley and Forde Leathley. The NSWBA is conducting a survey about the Monday night championship session. This considers its current format and timing and possible changes that could be considered, depending on feedback. We would be grateful if you could spare some time to complete this survey. Feedback will be taken into account in future design of the calendar. The Annual General Meeting of the NSWBA will be held on Wednesday December 12 at 5.30pm in the Ground Floor Terrace, 162 Gouldburn St.
Notice and Forms will be available here. The 2018 Annual Report is now available for viewing online. 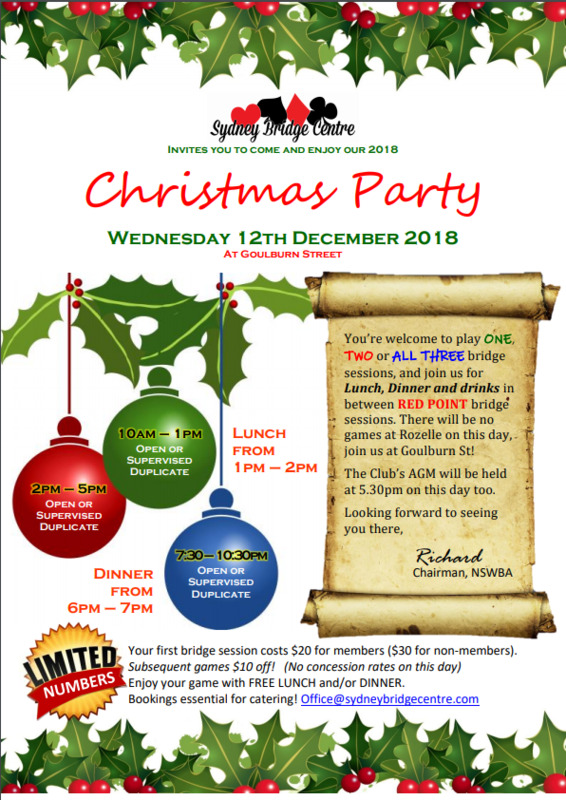 The Australian Bridge Directors Association (ABDA) will be holding a seminar on Saturday-Sunday 17-18 November, 2018 at the Canberra Bridge Club, 6 Duff Place, Deakin, convener, Sean Mullamphy. The Seminar will be open to all. However, travel subsidies will only be available to current financial members. 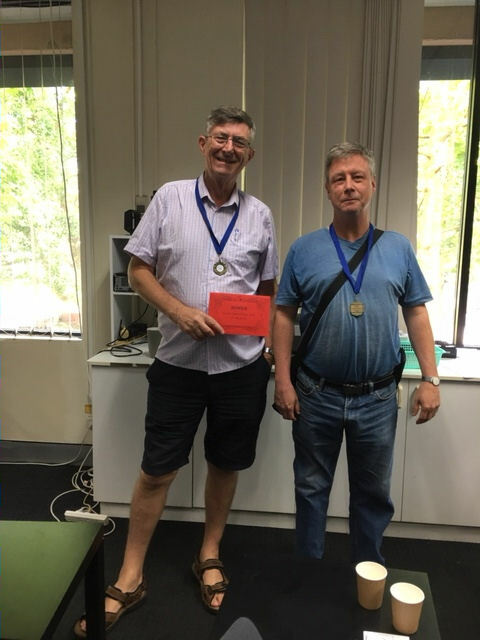 This year’s runaway winners of the State Wide Pairs were Sanjay Sinha and Neville Nott with a huge score of 79% over 12% clear of their nearest challengers. They only had one below average score. Congratulations on a remarkable effort. 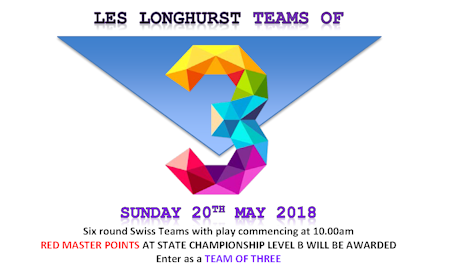 Events include Open and Restricted Teams, Open, Novice and Restricted Matchpoint Swiss Pairs , Seniors and Women's Teams and a one day Matchpoint Pairs. For more information please visit the Championship Website. The next Club Level Directors' course will be held at TRUMPS on Sunday November 11, 2018. 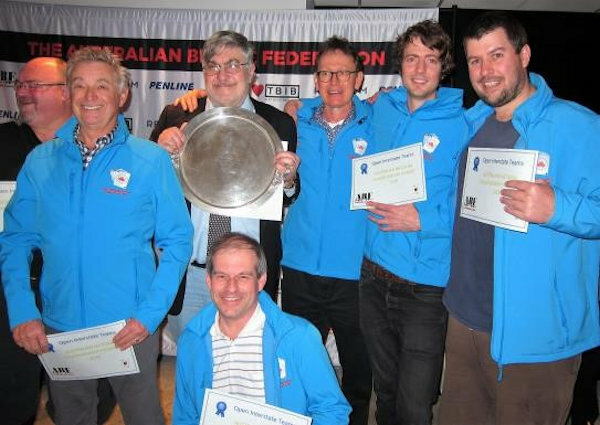 Congratulations to all of the NSW teams at the recent ANC in Hobart. NSW repeated our performance from 2017 by qualifying for all 4 finals and winning 3 of them. Once again there was an excellent spirit among the teams who all supported each other. 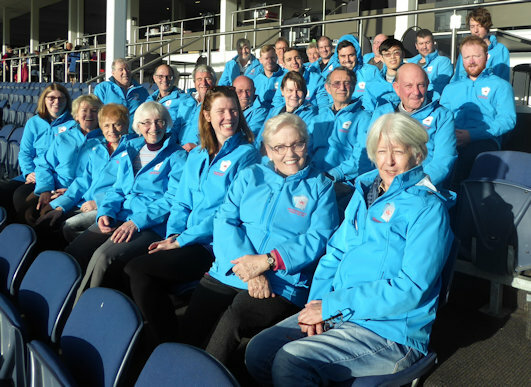 Our distinctive blue team jackets also meant we stood out everywhere we went (as well as keeping us warm)! 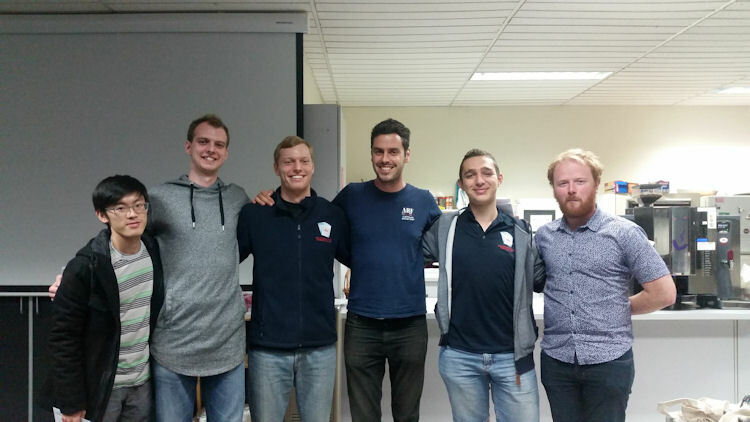 The Youth team dominated their round robin, but then had to come from behind to beat SA in the final, completing a 3rd successive win in the event. The Seniors won their round-robin and also comfortably beat ACT in the final. The Open finished 2nd in the round robin, beat Victoria in the 2nd v 3rd playoff, and came from behind in the last set to win the final against ACT. The Women also finished 2nd in the round robin, comfortably beat SA in the 2nd v 3rd playoff, and narrowly lost to WA in the final. The NSWBA is seeking player feedback on the scheduling of the Women’s and Senior’s Interstate Selection events in 2019. If you have some interest in playing either of these events (Seniors must be born before 1 Jan 1959), please complete the relevant survey. Each is quite short and should take you less than 2 minutes to complete. Nye Griffiths will be talking about high level bidding decisions at the NSWBA on Monday 27 August starting at 7pm. 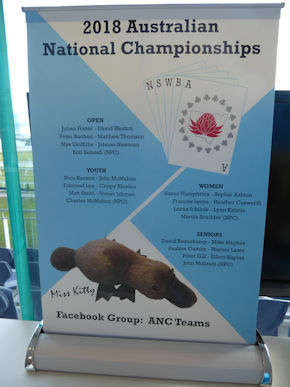 The State Mixed Pairs was held at the NSWBA on May 26-27. The joint winners were Susan Humphries - Kevin Rosenberg and Warren Lazer - Pauline Gumby. 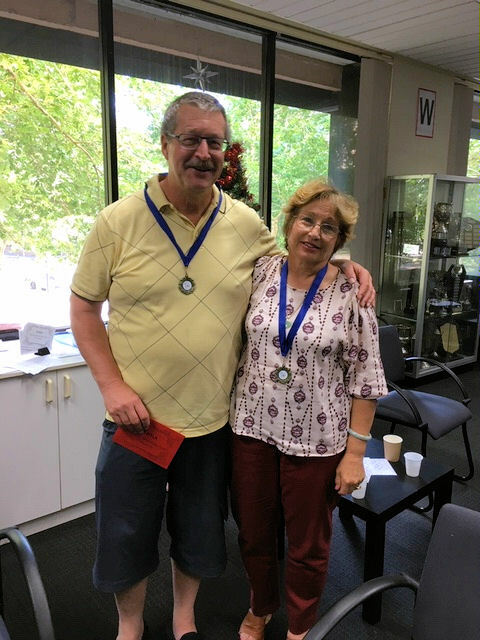 The State Country Mixed Pairs was won by Bill Powell and Marjorie Askew. 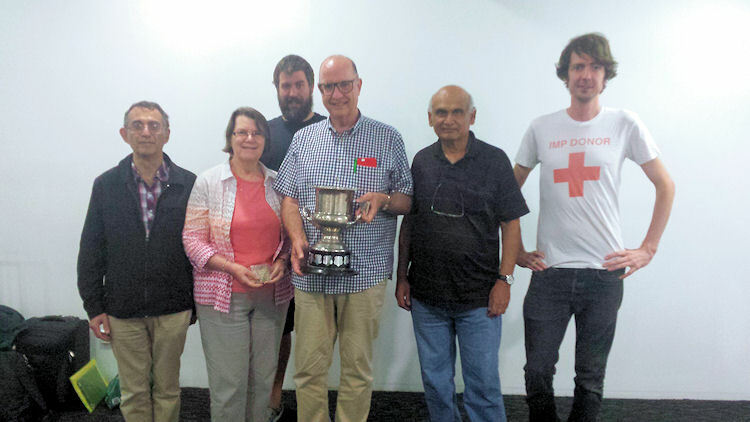 George Finikiotis and Liz Fanos won the Autumn Swiss Pairs Congress. We already have volunteers lined up for Friday (thank you) but we are still looking for people to assist on Saturday and Sunday. Please contact Wing at the office if you are able to assist. Congratulations to the ANC Youth Team for 2018. Congratulations to the ANC Seniors' Team for 2018. Congratulations to the ANC Women's Team for 2018. Congratulations to the ANC Open Team for 2018. 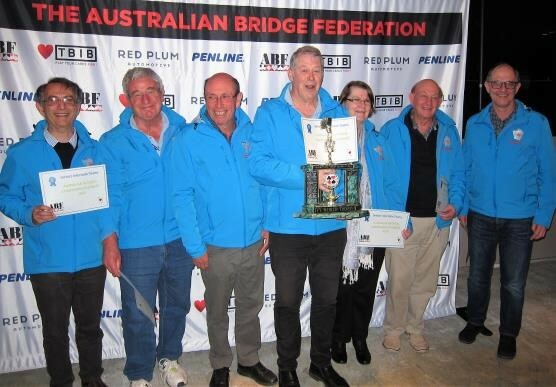 The World Bridge Federation has announced that a Mixed Teams Event will be added to the Open, Women's and Seniors' divisions at the World Teams Championships in odd numbered years. The ABF is currently running a survey asking players for their opinions on how best to select the Australian Mixed Team. If you want to have your say, complete the survey. Tony Howes will be holding a Directing Workshop on Friday 29th June 2018 at the Dubbo Bridge Club to acquaint new and experienced directors with the new laws as well as addressing other directing challenges. Participation is encouraged for all directors in the area. The next Club Level Directors' course will be held at the NSWBA on Saturday May 12, 2018. The Southern Highlands Bridge Club will be hosting the State Novice and Restricted Pairs on Saturday-Sunday April 28-29 at the Highlands Golf Club, Mittagong. 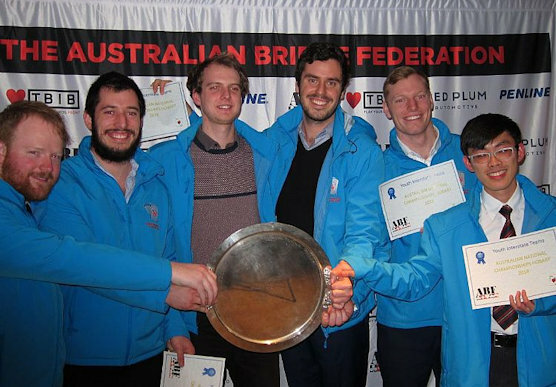 As well as generous prizes for the first three places in the each of the Novice and Restricted sections, the first place getters will receive free entry to the ANC Restricted Butler Pairs in Hobart on 4-5 August 2018, a subsidy from the ABF in the form of an airfare to attend, plus a per diem allowance. The Qualifying of the Seniors' Interstate Team Selection (SITS) to select the team to represent NSW at the ANC in Hobart in July-August will be held on Sunday April 22 with the Final on the following weekend Saturday-Sunday April 28-29. All NSW senior players (born before Jan 1, 1959) are invited to play but by so doing they declare themselves available for the final and for the ANC. Subsidies for country players are available. Online entry and the brochure are available here. The Women's Interstate Team Selection (WITS) to select the team to represent NSW at the ANC in Hobart in July-August will be held on Friday-Sunday April 6-8. All NSW women players are invited to play but by so doing they declare themselves available for the final and for the ANC. Congratulations to Warren Lazer, the winner of the McCutcheon Trophy for the most masterpoints earned in 2017.